It is evident how fiber optics has the capacity to enhance the network experience of business organizations all over the world. But before its end-users can enjoy the high bandwidth and low latency that optical fiber delivers, it should be installed properly by certified fiber optic technicians. And the best way to do that is by making sure that there’s someone that will oversee the installation process. Through that, you will be able to make sure that everything is installed properly and ensure an optimized network experience. But before delving into that, there are some things that you have to understand. For starters, you should be acquainted with the people involved in fiber optic installations. Basically, the technicians are the ones in charge of installing, troubleshooting, maintaining, and repairing telecommunication cables. With their expertise of the different cable systems, it’s their job to inspect and test the cable equipment that is going to be used for fiber optic installations. By doing this, they are able to identify malfunctions and ensure that everything is working smoothly. Living up to its name, fiber optic installers are the ones responsible for setting up fiber optic networks. And with these experts’ deep knowledge regarding the different types of cabling, they have the capability of installing copper and wireless technology in business sites. Apart from that, installers are also a great help in troubleshooting voice and data outlets in work stations. It is the job of fiber optic system designers to create standard-compliant networks that are cost-efficient. The skillset of a good system designer includes thorough knowledge of network configurations and protocols, cable system testing and documentation, fiber count determination, hardware selection, and many more. Bottom line, their expertise enables them to establish the requirements and specifications necessary to ensure the optimization of the performance and operation of the networks to be installed. With the help of these three experts, business owners are able to tailor-fit a fiber optic network that will suit their business needs. Now that you’re aware of the responsibilities of fiber optic experts, it’s time that you learn the benefits you can get from hiring fiber optic technicians. When you let experts handle the fiber optic installation necessary for your company, you will be able to get the assurance that they know what they’re doing. That’s why it’s important to be careful about choosing the company that you want to work with during installations. You should always see to it that the people you task to set up your fiber optic network are certified by the Fiber Optic Association of Cebu. Before these experts become certified, it’s a prerequisite that they undergo pieces of training that help them improve their services. This enables them to prove to the association that they are deserving to get the certification that they’re eyeing for. These technicians review for their certification exam at least once a year. And this is to ensure that they will be updated on the new trends and they will be able to comply with the current standards in the industry. That said, the process of certification gives them the opportunity to master their craft. Other than the ones mentioned above, these experts underwent a fair and objective assessment before they became certified. That said, you will be able to make sure that the experts you hire are high standard when they are Fiber Optic Association (FOA) certified. It’s as clear as day that these certifications are beneficial for the members that pass the test the association prepares. Aside from gaining a certain level of competence in the field of fiber optics, this also entitles them to higher salary and faster career advancement. Furthermore, these certifications also give clients the peace of mind that the technicians they work with are legit and trustworthy. 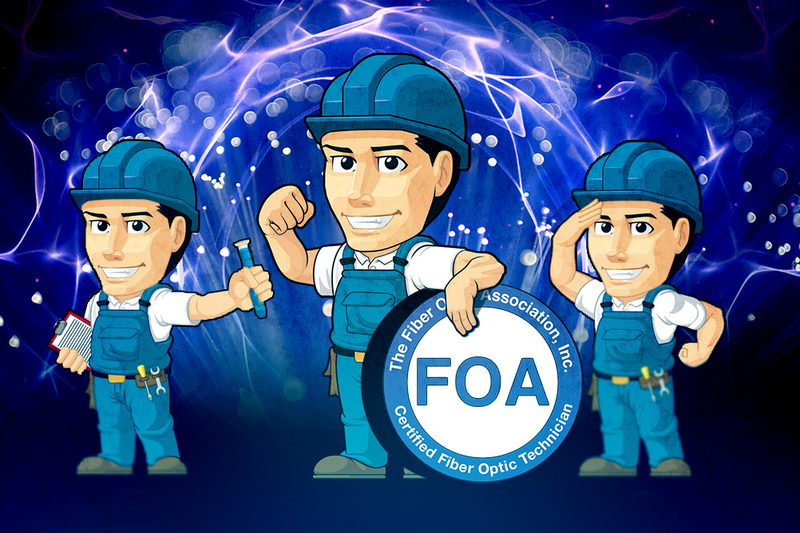 The training and certification you get from the FOA are processes that are governed by predetermined standards to cater to the market’s fiber optic needs and demands. With this association, the world of fiber optics was able to set an international standard on the qualifications of fiber optic technicians. Furthermore, this certification is also commonly used by technicians as proof that they are experts and well-equipped on the field of fiber optics. In the Philippines, there are only a few companies that are accredited to conduct training and certification for fiber optic technicians—and one of them is Nexus-net. Moreover, there are three categories of specialist certifications offered by the FOA at present. 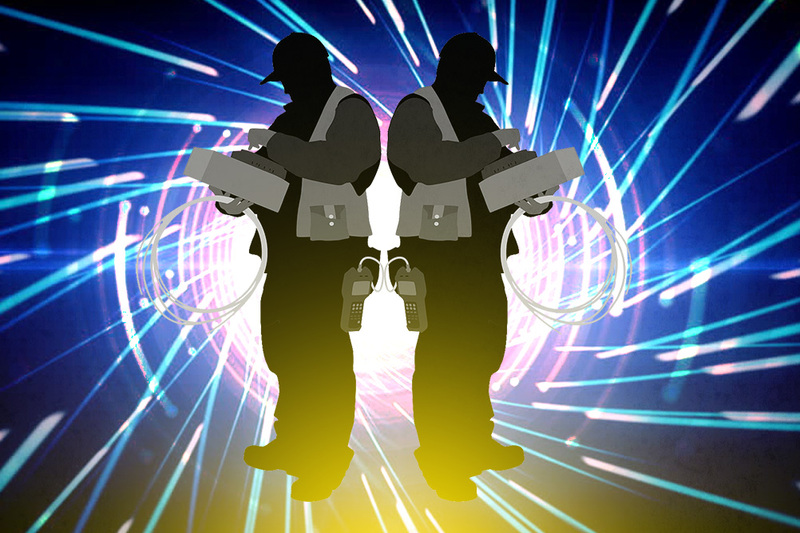 This certification is for fiber optic technicians that want to learn how to perform proper splicing, connecting, testing, fiber characterization, and many more. This certification focuses more on the installation and design issues of particular applications. Through this, managers, users, designers, project managers, supervisors, and fiber optic technicians will be able to oversee the networks. This is a specialist application certification that is intended to cover topics regarding fiber optic network design. This certification is usually for network owners, facility managers, network designers, IT personnel, and other people that are involved in the installation of a fiber optic network. Through these certifications, these experts gain the knowledge that they need to set up fiber optic networks that will help improve the internet experience of their users. With their help, business owners are given the opportunity to unlock the benefits that fiber optic brings. Although this is true, it’s necessary for business organizations to supervise the experts that work on the fiber optic installation if they want to maximize their capabilities. An effective fiber optic network requires proper installation. That’s why it’s essential for business owners to appoint someone to manage and oversee fiber optic installations. With the help of a reliable supervisor, businesses will be able to ensure the effectivity of the fiber optic network installed in their establishment. If you’re wondering what are the best practices in supervising fiber optic experts, then you’ll find this section helpful. If you looking into fiber optic installations, you’ll be able to see that it’s necessary to have a clear plan before you start—and the best way to do this is by hiring a supervisor to do this for you. With this preparation, you will be able to get the peace of mind that your fiber optic network infrastructure will be designed properly. Furthermore, it’s also the supervisor’s job to inform everyone about the overall plan. That way, the person in charge will be able to ensure that everyone is on the same page while working on the job. Apart from giving the people involved a copy of the overall plan, it’s also crucial for the supervisor to provide them all the necessary tools and equipment to perform the installation. That’s why it’s fundamental for supervisors to be knowledgeable about the necessary tools and where to get them. Through this, organizations will be able to get the assurance that the fiber optic installation will be completed effectively and efficiently. Furthermore, this can also help them make sure that the installation will stay on schedule. During fiber optic installation projects, it is the supervisor’s responsibility to ensure that the fiber optic installers will install everything properly in a neat manner. The best way that they can achieve this is by monitoring the people that are involved in the installation regularly. Furthermore, it also helps if they inspect the work that the accredited fiber optic technicians finished from time to time. By instilling the habit of overseeing, they will be able to keep the installers’ work on point. When it comes to fiber optic installations, proper and thorough documentation is necessary. And these documentations should include the test that was run on the cables and the equipment that was used. It’s also important to bear in mind that this is not just paper trail that you can use to monitor the actions taken during the installation process, this is also documentation that you can use as a reference for customer billing. It is every business owner’s aim to drive their organization to progress. For this reason, more and more company owners seek the help of fiber optic technicians to install a fiber-optic network in their respective business sites. 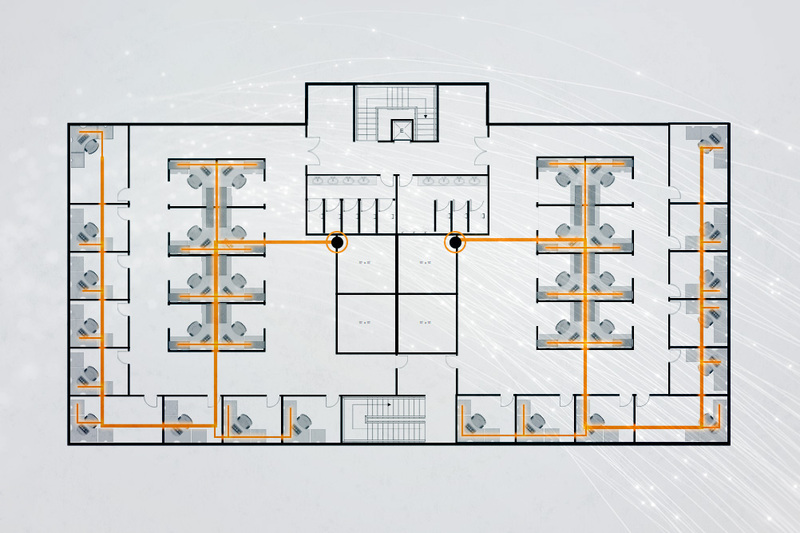 By picking the right people to perform and supervise the installation, you will be able to ensure the effectivity and efficiency of your network’s performance.